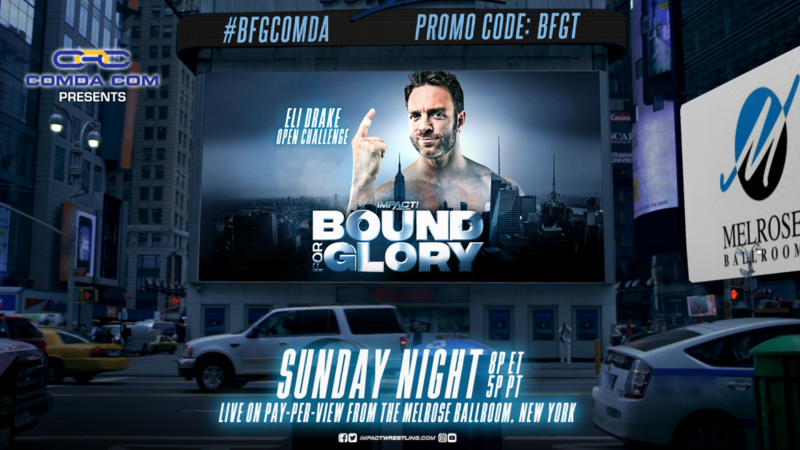 Open challenges, tag team partners and a visit to the Undead Realm were set for Bound for Glory on tonight's episode of Impact. It was announced that Allie will meet Su Yung inside the Undead Realm during the show. Allie met with Father James Mitchell and pleaded with him to take her to the Undead Realm so that she could save Kiera Hogan, who was sent there through a coffin by Su Yung. Mitchell agreed to take her there on Sunday. Eil Drake announced during the show that he will be issuing a special New York open challenge. He made sure to note that the open challenge would only be open to those who were from New York and nowhere else. Drake has been issuing open challenges as of late, most recently losing to La Parka last week on Impact via count out. Rich Swann meanwhile revealed his partner for Bound For Glory. After the returning Ethan Page was revealed as Matt Sydal's tag team partner last week, Swann announced this week on Impact that Willie Mack will be teaming with him. oVe vs. Brian Cage, Fenix and Pentagon Jr.